IVYBRIDGE will be looking to end a two-game losing run when they travel to Devon rivals Exmouth on Saturday. 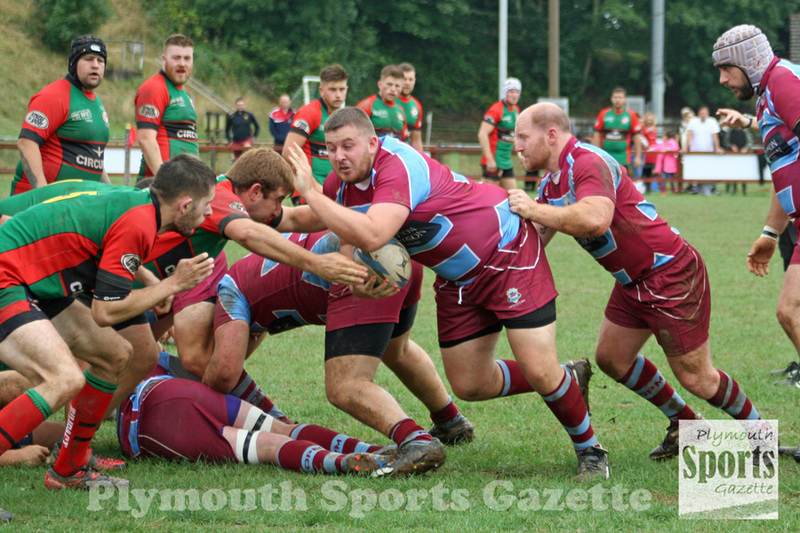 The Bridgers have yet to win in 2019, losing to Exeter University and Drybrook in their opening two matches of the year. They had ended December in second place in the South West Premier League but have now slipped down to fourth. However, they are only four points behind second-placed Barnstaple, who have a tricky trip to Camborne, while third-placed Maidenhead, level on points with the Bridgers, are at Exeter University. Ivybridge’s opponents this weekend, Exmouth, have had an up and down season and sit in seventh place. They have yet to win or lose in 2019 – strangely drawing their opening two fixtures of the year. When sides met at Cross-in-Hand earlier in the season, Ivybridge won an entertaining contest 41-31. 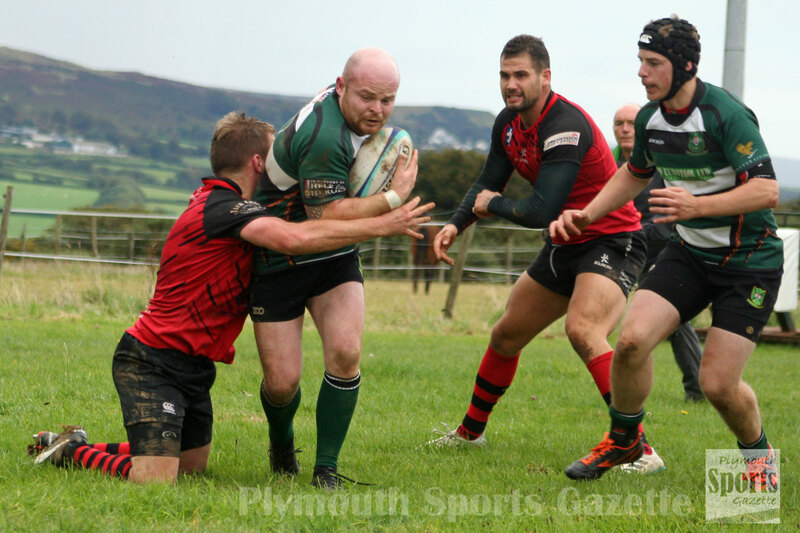 “It is going to be a tough game,” said Ivybridge coach Lewis Paterson. “We are on the back of two losses against a very well-drilled Exeter University side and a tough game against Drybrook. But we have put a lot of things right in training and we have a massively positive attitude. This young side is brilliant in the way they react to these situations. “We are still where we want to be in this league. We are higher than is expected of us and we are enjoying it – enjoying our rugby and enjoying the league. “Sometimes results don’t go your way and you just have to pick yourselves up and dust yourselves off and go again. “We have got the calibre to beat every team in this league. Paterson is available again after missing last week’s match and is set to feature as a replacement. Ivybridge are likely to only make one change to their backs with Damon Akerman coming in for the injured Tom Scoles. In the pack player-coach Jamie Tripcony is set to start with Pete Abraham, Ben King and Nathan Davies forming the back-row. DEVONPORT Services are looking forward to playing back at home this weekend after a narrow loss on the road last Saturday. Sixth-placed Services went down 14-7 away at fifth-placed Bridgwater & Albion, which brought an end to a three-game winning run. 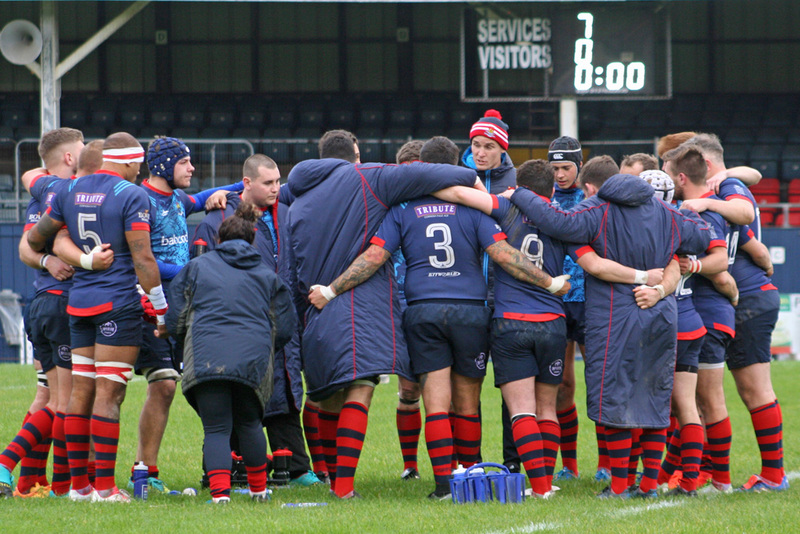 After playing the team immediately above them last Saturday they take on the side just below them this week when they welcome seventh-placed Hornets to the Rectory. The Somerset club narrowly beat them 36-31 on their artificial grass pitch earlier in the season so Services are keen to get revenge on their own patch. “It is so close in this league from third down to 11th,” said Services’ coach Mike Lewis. “Anyone can beat anyone, but you do hope to win all your home games against those teams. “Unfortunately, last week away at Bridgwater we weren’t quite at the races in attack, but I thought our defence was fantastic. Lewis feels his team enjoy playing at the Rectory. 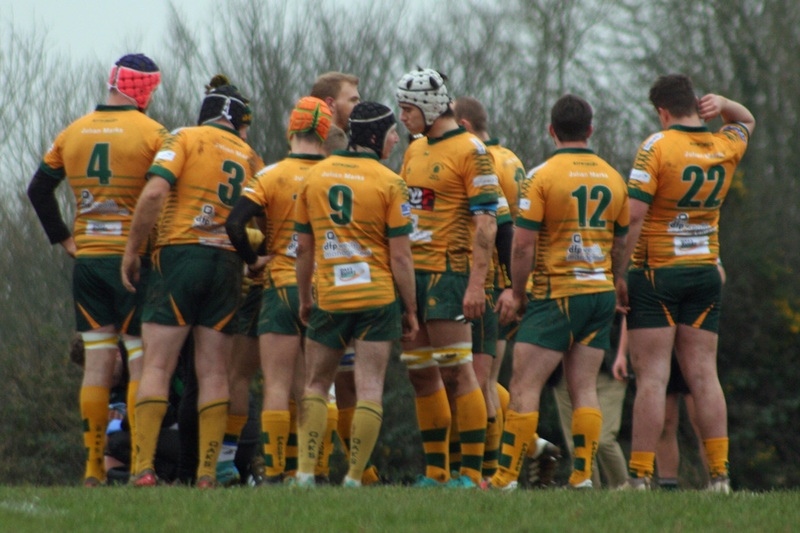 Their only defeat so far on their own pitch was a narrow 20-17 loss to Lydney. Services have pulled off a coup by signing Clifton centre/winger Bentley Halpin for the rest of the season. Halpin has been a regular in National Two South for the past two seasons, making 34 appearances. He has started 14 of their 18 league games this season, scoring six tries. However, he is on placement in Plymouth until the summer and wanted to play rugby in the city. Halpin’s registration may not come through in time to play this weekend, but his arrival could be timely with Toby Knowles set to move to Bristol for six months in February with his job. Services are not short of players to select from this weekend and have arranged a second team match against the University of Plymouth at King George V Playing Fields. In Western Counties West, Saltash could take a giant step to securing a mid-table finish if they could beat Cornish rivals Wadebridge at Moorlands Lane on Saturday. Sixth-placed Wadebridge are nine points ahead of Saltash in the table. The Ashes moved up to 10th, five points clear of the relegation zone, last weekend when they edged out Truro 13-12 away. They are now only four points behind the three teams ahead of them – Kingsbridge, Truro and Falmouth. The Ashes narrowly lost 37-32 when they played Wadebridge away earlier in the season, but they did pick up two bonus points from the game and did boost their confidence. Meanwhile, Saltash have been drawn away at South West One side St Ives in the semi-final of the Cornwall Cup. The other semi-final will see Wadebridge host St Austell. POSSIBLY the most crucial fixture in the Cornwall/Devon League this weekend comes at Bickleigh Down where Plymouth Argaum host Tavistock. Both clubs are desperately trying to pull away from the relegation zone. Tavistock moved out of the bottom three and up to ninth last week by beating Pirates Amateurs 24-12. That was only their fourth victory of the season but it has moved them two points ahead of Argaum, who have fallen down the table after winning just one of their last eight matches. A defeat for either Argaum or Tavistock this weekend could be seriously costly come the end of the season. “It is a massive game for both teams,” said Argaum’s Stuart Quarterman. “I could say it’s not but the table clearly says it is. “It is a home game we really need to win. However, getting the right player availability has been a massive problem for Argaum this term. Last weekend they had travelled to South Molton with only 12 registered players. In the end, they agreed to give South Molton the walkover so they could borrow some players and make a more competitive match of it, which they lost 38-5. “The lads that went played well,” said Quarterman. “What we are doing is the right type of stuff but it is about availability. Argaum have a good record over Tavistock, but they did lose to them for the first time in four seasons at Sandy Park in September. “We won at home against Argaum, but it will not be in our minds at all,” said Tavistock’s Hammy Kerswill. “They are a completely different side at home. “Darren Chappell (our scrum coach) reckons it’s about 20 years since we’ve won at Argaum in a first team XV fixture in the league. “Being a derby they always step it up and in the last two years won tight encounters. “We had a good session on Thursday and know they will be a much harder task than Pirates last week. “We have to start well and can’t afford to let them back in like we nearly did to the Pirates last week. Tavistock have good availability, although Joe Hair is unavailable due to injury. In his absence Phil Wilson will start in the front-row. Ethan Lamerton will start at fly-half and Josh Birch returns in the backs, while Jamie Legg and Andrew Craddock are available again and will strengthen their bench. High-flying Plymstock Albion Oaks have warned their players that they face a potential banana skin on Saturday when they host South Molton at Horsham Fields. Oaks have only lost twice this season and sit in the top four. Currently only three points separate Bude, Honiton, Penryn and Oaks in the table. South Molton are in sixth spot, 24 points behind Oaks, but they gave Plymstock a real scare in September before the visitors ran out 21-17. “We are really wary of South Molton this weekend,” said Oaks’ player-coach Aiden Taylor. “We struggled against them massively at their place because we got sucked into their style of play. “They are a big, heavy unit, especially at scrum-time. We haven’t really got a big pack, so we are aware this is a banana skin and will be a real test. “We have loads of unavailabilities this week. Four first team players are away skiing and Carl Parsons has work. He’s a massive loss in the scrum and we still have two of our main players out – Will Booth and Dave Byng. He added: “Our aspirations at the minute are just to stay in the mix, so Saturday is massive for us. Many clubs in the league are strengthening their squads ahead of next month’s transfer deadline. And Oaks have signed Hayden Coles from South West Premier side Ivybridge. He is unavailable this week but Plymstock hope to see him in action soon. He nearly joined Oaks in the summer. He did play in a pre-season friendly but then decided to stay at Ivybridge, where he did feature early in the season, but has recently found opportunities limited since. Oaks are also looking at boosting their options in the pack. Elsewhere in the Cornwall/Devon League, seventh-placed Liskeard-Looe could do both Tavistock and Argaum a favour if they could beat Lanner at Lux Park. Lanner are currently 10th, one point below Tavistock and one point above Argaum. With seven wins and a draw to their name, Liskeard-Looe are looking on course for a mid-table finish on their return to level eight. THE Plymouth derbies are coming thick and fast in Devon One at the moment. After OPMs narrowly lost 15-14 to Old Techs last weekend, they will head to fellow city side Tamar Saracens this Saturday. Then next week Old Techs will host Tamar Saracens. These next two games are likely to go a long way to deciding who does finish as the top Plymouth side in the division. Saracens are currently the highest place in fifth after wins over North Tawton and New Cross and a walkover against Dartmouth. However, Techs, who don’t have a match this weekend, are just one point and one place behind in sixth, with OPMs a further six points behind in ninth. OPMs’ biggest problem has been converting possession and territory into points. They haven’t get claimed a try scoring bonus point, but they did manage to beat Sarries 25-24 at home earlier in the season. That is the most points they have scored in a league game so far after coming up from Devon Two. OPMs were gutted last week to lose by one point to Old Techs in a game that ended in controversy. All the Plymouth derbies this year have been tight and it would not be a surprise if it was the same this week. Sarries go into the match on a massive high after becoming only the second team to beat North Tawton this season. But they feel OPMs’ pack could cause them more problems than North Tawton’s. “Last week our forwards bossed the game,” said Saracens’ Marc Cioffi. “But OPMs will be different as they have some a very big boys in their pack. Sarries will be missing Richard Bush, who impressed last week, while front-row forward Mark Rennie has been ruled out for the rest of the season due to injury. But they are able to welcome back Mike Cox and Tom Hicklin, while Adam Corbett made his comeback last week following a long-term knee injury. Sarries could also have a new Royal Marine prop in their squad. Last week they handed debuts to two other marines – Reece Garbutt and Jordan Wilds. In the Devon Merit Table, Plympton Victoria and St Columba & Torpoint have tough fixtures. Plym Vic will host third-placed Kingsbridge II at King George V Playing fields, while St Columba will travel to second-placed Torquay II. Last week Plym Vic lost 31-0 to Torquay.